“If you would’ve told me that the next race is the Nürburgring 24 Hours, I would’ve believed you,” one driver describes the racing ethics and resulting accidents he has seen on the track. He’s been racing in today’s 48. ADAC Barbarossapreis at the Nürburgring and seen the pandemonium unfold around him before being forced into retirement himself. Done with the race, he looks on as the final lap arrives. 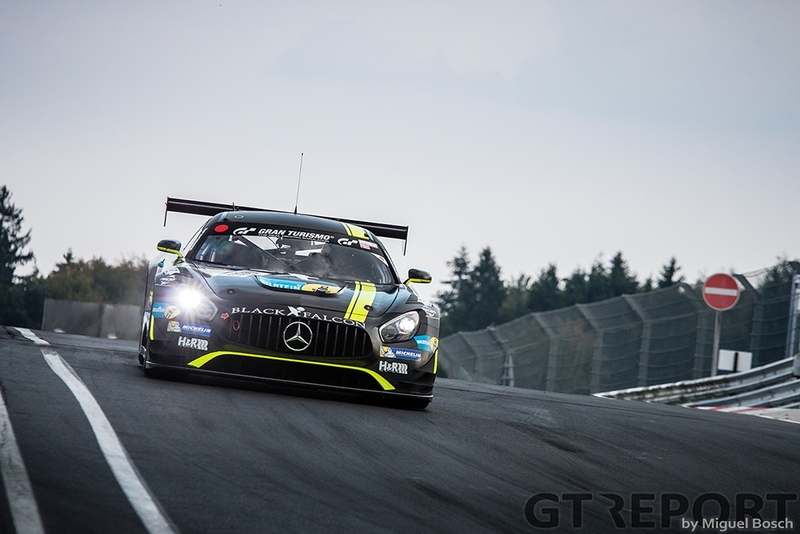 Lance David Arnold in the Haribo Racing Mercedes-AMG GT3 is trailing Kévin Estre’s Manthey Racing Porsche 991 GT3R by a few tenths and is hellbent on crossing the finish line first. But he won’t and he doesn’t have to. 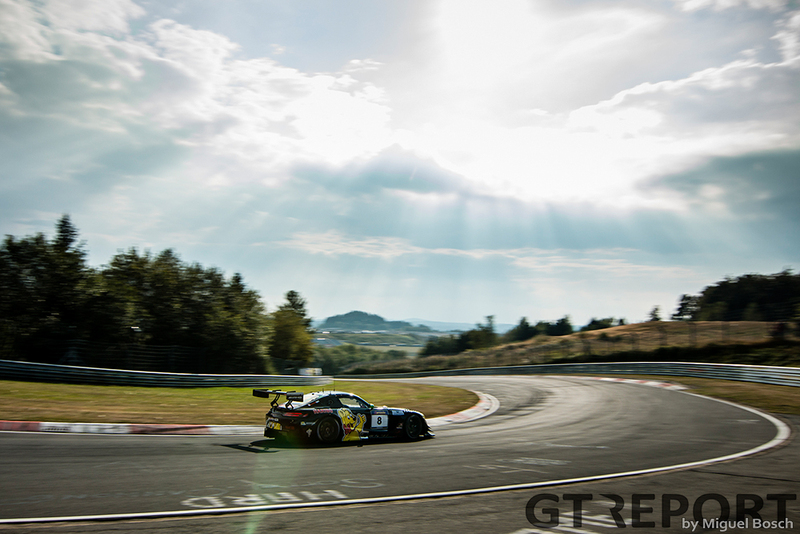 It’s Estre himself who hands Haribo its second VLN win of the year when he cracks under pressure on last lap. It all looks set to be a beautiful last summer day in the Eifel. The sun is out in this late September race, a rarity for the region this late in the racing season. Morning practice sees the unofficial lap record fall once more, this time courtesy of Christian Krognes in the Walkenhorst Motorsport BMW M6 GT3 who sets a time of 7:53.375. He’s put the car on pole position for BMW Junior racer Jesse Krohn to take on the start. Uwe Alzen in the Haribo Racing Mercedes-AMG GT3 immediately puts the pressure on pole sitter Krohn when the lights go green. They fight door-to-door in the opening laps, but always within the limits of the acceptable before the young Fin frees himself from the German’s clutch. For almost two hours the BMW remains in front of the field, only taking a break from the lead when Krohn comes in for a pit stop but soon filtering back into first position. Shortly before he’s about to return to the pits for the BMW’s first driver change, Krohn comes up to a white flag at Mutkurve. Expecting a slow moving vehicle around the blindingly fast corner, he suddenly finds himself face-to-race with a parked safety vehicle. In a split second he has to decide: Crash into the other car or into the guardrail. It’s a simple choice. Swerving out of the way, he smashes into the guardrail, ending his bid for the win with a broken suspension. 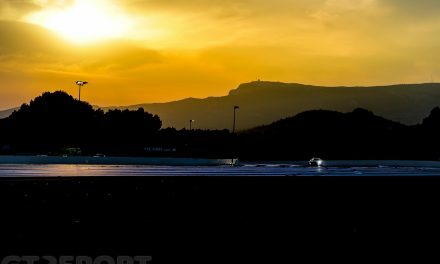 Having made their first pit stop early on in the race, Adam Christodoulou, Manuel Metzger and Gerwin Schuring in the number 6 Black Falcon Mercedes-AMG GT3 find themselves in a good place. 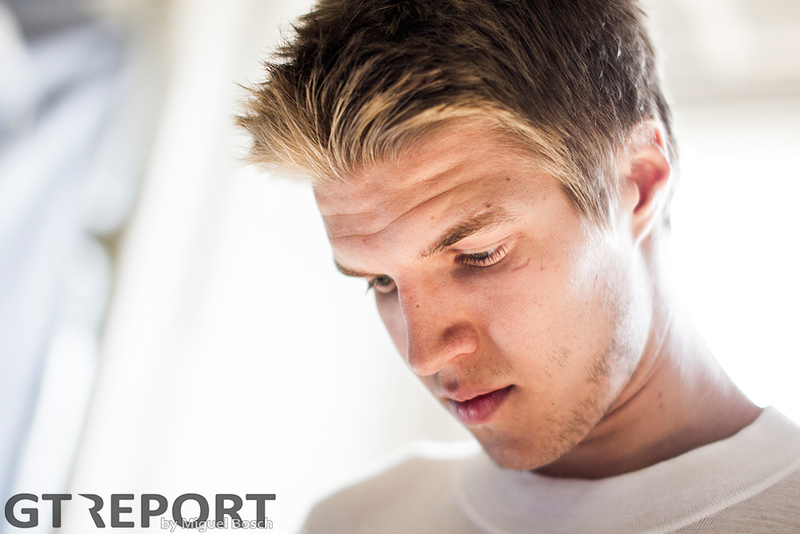 Walkenhorst’s retirement promotes the team from Meuspath into the lead. 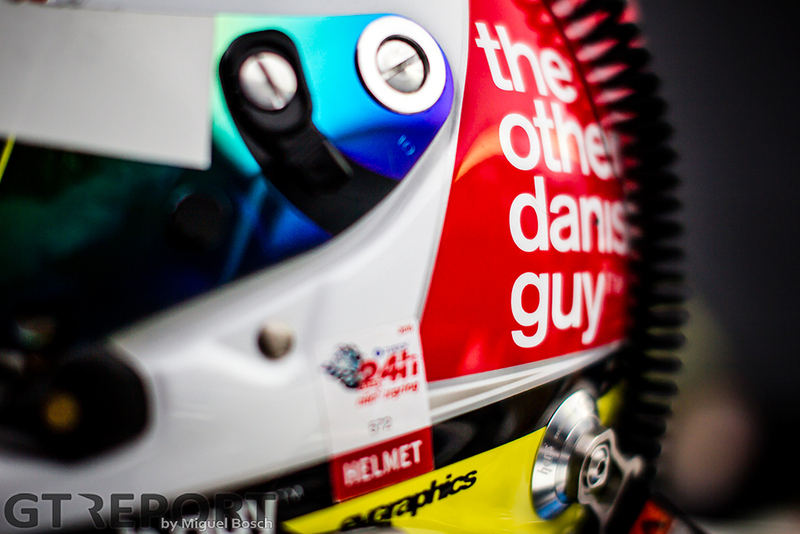 They know, however, that with gentleman driver Schuring scheduled to do the last stint it’ll be a tough job to stay in front of the full pro drivers line-up of the Manthey Porsche and Haribo AMG. Pushing to build a gap to his pursuers, Metzger makes an uncharacteristic mistake. As he approaches the Hohenrain-Schikane with less than one and a half hour to go, he slips on coolant left there by Janine Hill’s crashed Frikadelli Racing Porsche 991 GT3 Cup. As Metzger crashes into the tyre barrier, it’s race over for the team that’s been running strong all day. With Black Falcon out of the way, Manthey Porsche goes to the lead. The works team has been racing at the front since Earl Bamber did the start. The New Zealander worked his way through the first stint fighting with Alzen and the Farnbacher Racing Lexus RC-F GT3 of Dominik Farnbacher before making his pit stop. Kévin Estre, the driver of the second stint, continued the high pace. After Bamber finishes the team’s third stint, Estre gets back in for the final hour of the race. In the last hour the gap from Arnold to Estre is 24 seconds. Running in second place is not enough for Haribo Racing’s ace driver. With no more pit stops ahead, it’s go-time for the pilot from Duisburg. Lap after lap he closes in on the Porsche until he’s a car length away from the rear bumper of the neon yellow Porsche. The fight for the win is on as the duellists go into the final 24 kilometres. Under great pressure from Arnold, Estre cracks. The fatal mistake is made on the backstretch of the Grand Prix track when he overtakes in a yellow flag zone. It’s undeniable and punishment only a matter of time, but still Arnold doesn’t let go. 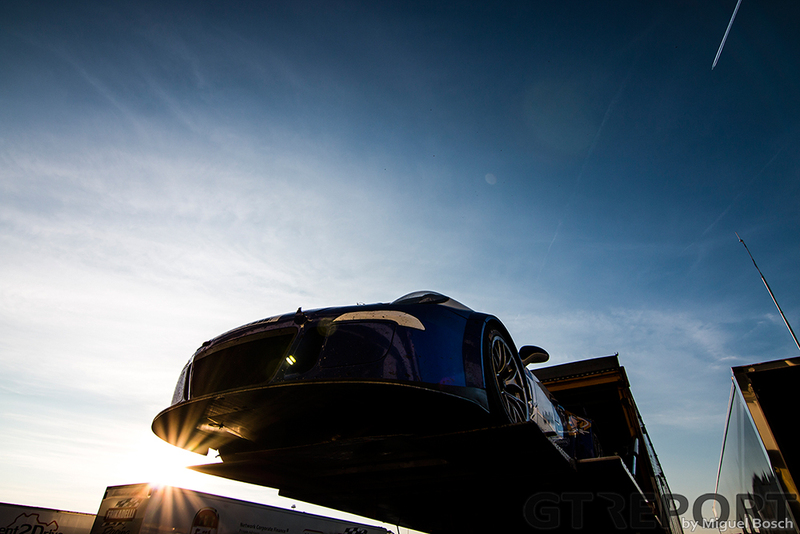 Arriving at Metzgesfeld, a Black Falcon Porsche Cayman GT4 dooms up in front of Estre. Unaware of the rapidly closing in Manthey Porsche, the Cayman goes for the apex of the corner and throws itself into the path of the oncoming 911. Estre has nowhere to go and pushes the small car into the tyres. Arnold’s attack isn’t letting up. He tries his hardest on the way down from Hohe Acht, but to no avail. The long Döttinger Höhe straight doesn’t help the AMG either as the Porsche has enough power in the four-litre engine to stay ahead. Braking for the final corner Arnold creeps up even closer, but Estre puts down the throttle early enough and takes the chequered flag first. 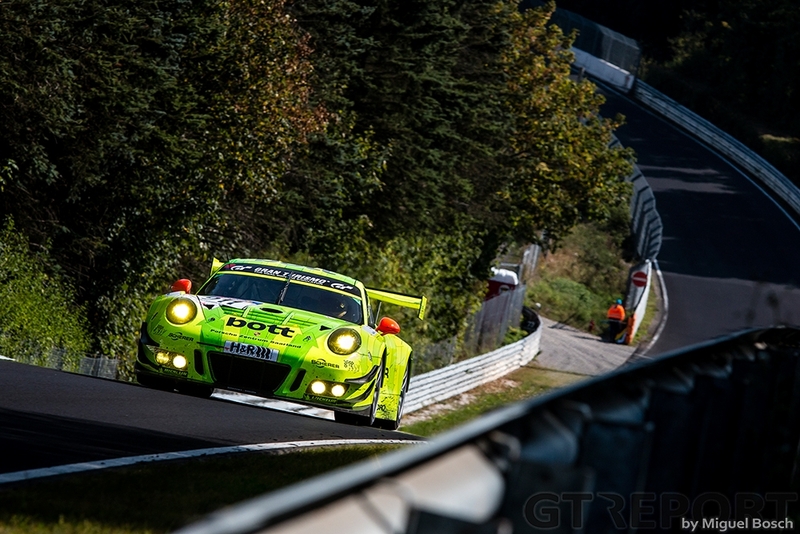 An hour after the finish Manthey is penalized for the yellow-flag infringement and Haribo Racing awarded the win. Manthey Racing gracefully accepts the mistake and the 35-second penalty, and settles for second place. Falken Motorsports is again invisible for most of the race. 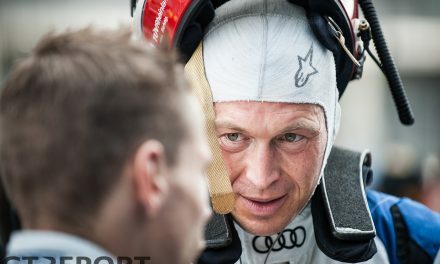 Like often the Schnabl Engineering-run team stays out of trouble, performance its pit stops to perfection and drivers Peter Dumbreck and Martin Ragginger don’t get wrapped up in many fights for positions. The result is another well-deserved third-place trophy. In the Walkenhorst pit box everyone is waiting for Michele Di Martino to bring the BMW M6 GT3 home in fourth position. 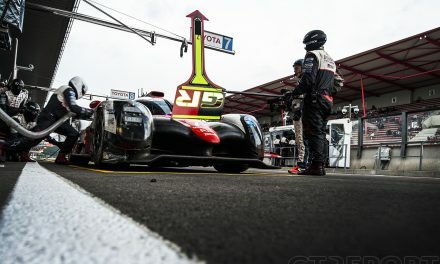 The German and his teammates Matias Henkola and Daniela Schmid have kept it clean all day long and put down some fast lap times as they worked their way up to fourth from thirteenth place on the grid. After the disappointment that was Krohn’s crash, it’s looking up for the team from Melle. When the chequered flag flies Di Martino never arrives. The youngster is the last one to crash today. As he arrives in Klostertal on the final lap he loses control on coolant and violently crashes into the barrier and the parked car that had dropped the coolant on track. Although the disappointment is great, both drivers remain unhurt. 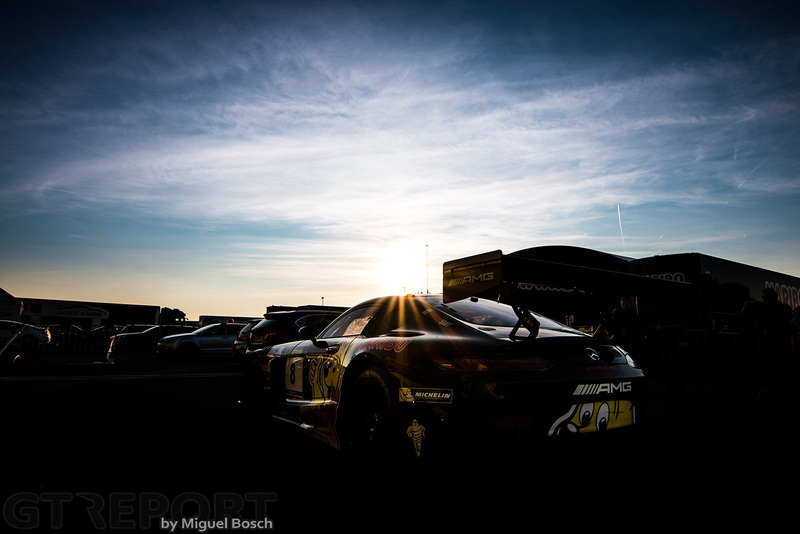 Through the chaos Alexander Mies and Michael Schrey see a dream come true as they become the 2016 VLN champions. The two Bonk Motorsport drivers have celebrated victories in the BMW M235i Cup class in all previous races, but it’s a different story this afternoon. An accident in qualifying forces a hasty repair. Starting the race with a quickly patched up car, it gets worse when the BMW is spun around on the opening lap. Picking themselves back up, Mies and Schrey go on to make it to the finish in third place in class. Unless something extraordinary happens in the remaining two races, they are realistically out of reach of the competition.